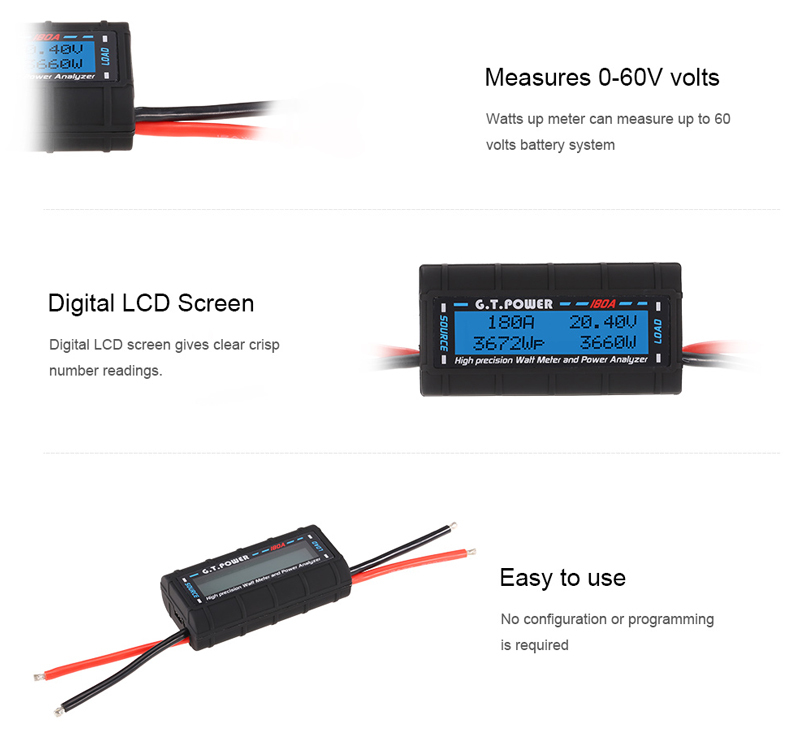 Know the power you are draining from your batteries on high power installations, read the Amps, Watts and the voltage all at once on one backlit screen. 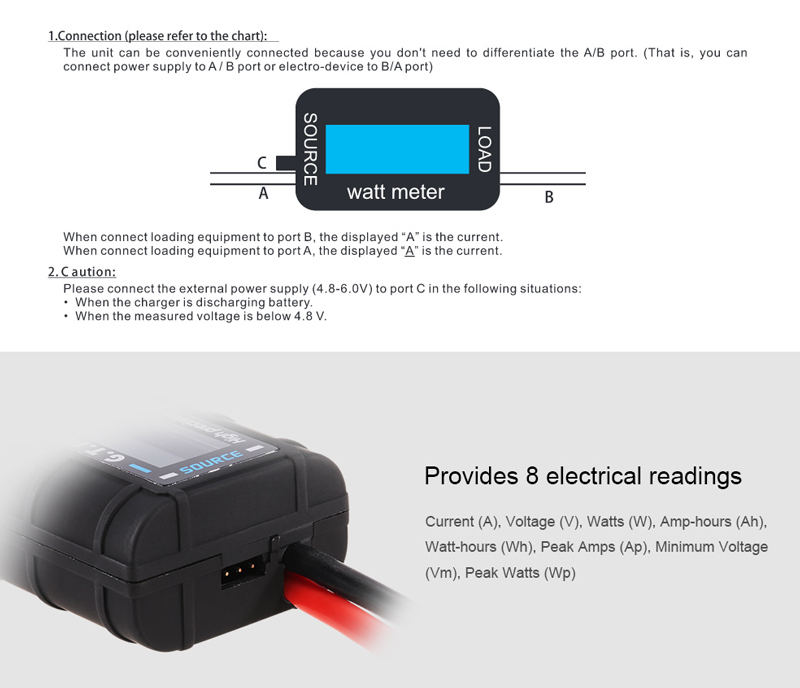 Very useful for fault finding, tuning, and testing installations. Current to 180A, Voltage to 60V. 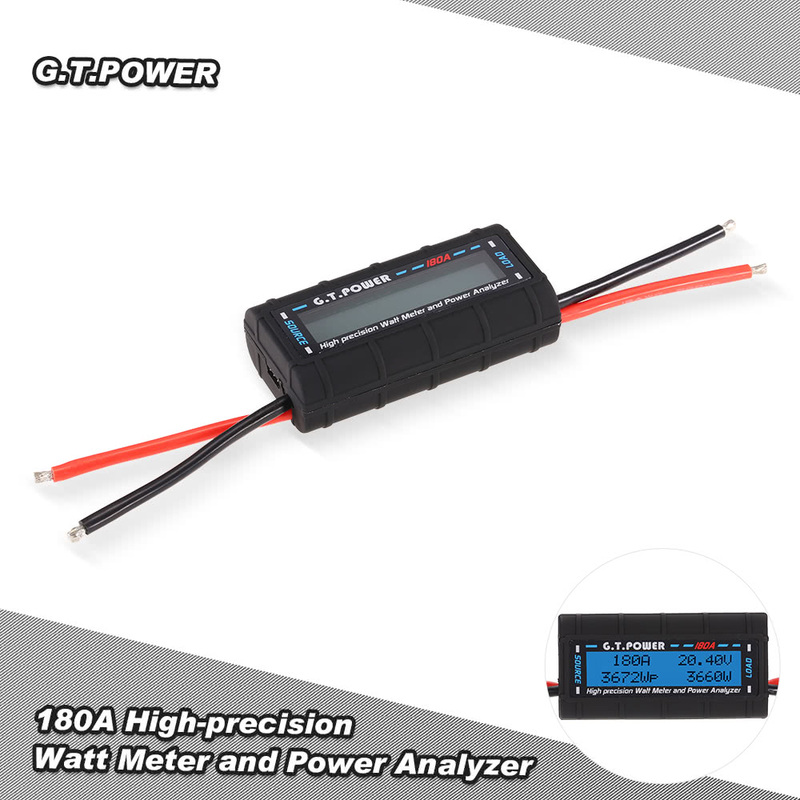 Measure the circuit safety and 8 main parameters of its performance. 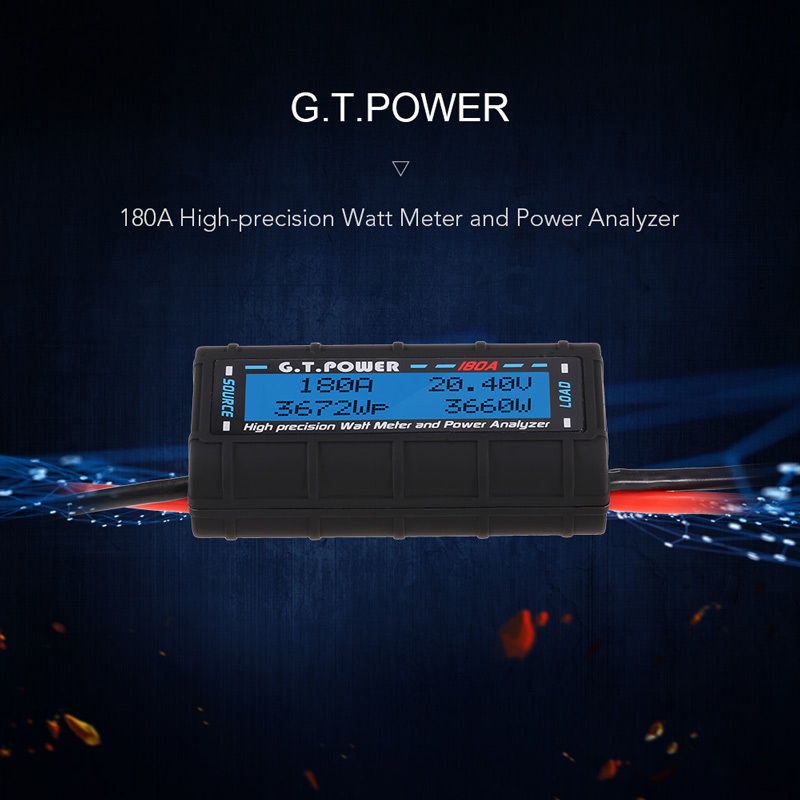 Prevent the battery, motor, motor speed controller, wires and connectors from damages caused by high current. Check the load voltage, set up the safety voltage. Check the capacity and the performance. Keep each cell&apos;s parameter balanced to make the charger work normal. Detect the real working current of the receiver, servos and other devices to decide whether a UBEC is needed. The unit can start to measure from 0V if there is an external power supply.